A voyage of discovery: George Vancouver’s narrative. 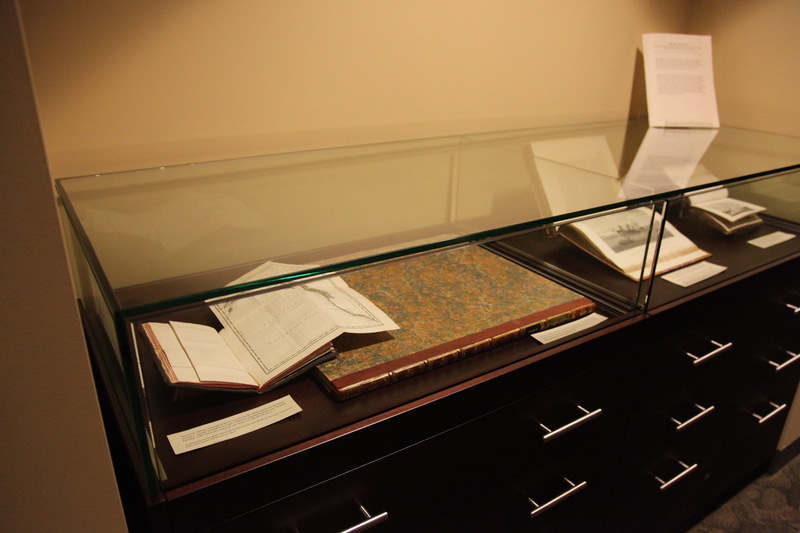 In honour of the City of Vancouver’s 125th birthday, an exhibition highlighting the voyages of George Vancouver and the publication of his voyage narrative is on display at Rare Books and Special Collections. 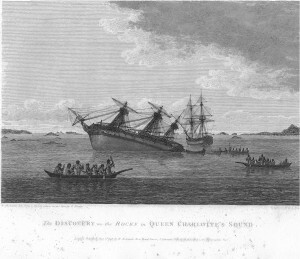 Featuring a number of late 18th- and early 19th-century editions of George Vancouver’s A Voyage of Discovery to the North Pacific Ocean, first published in May 1798, the exhibition describes Vancouver’s expedition to the Pacific Northwest on the ships The Discovery and The Chatham. 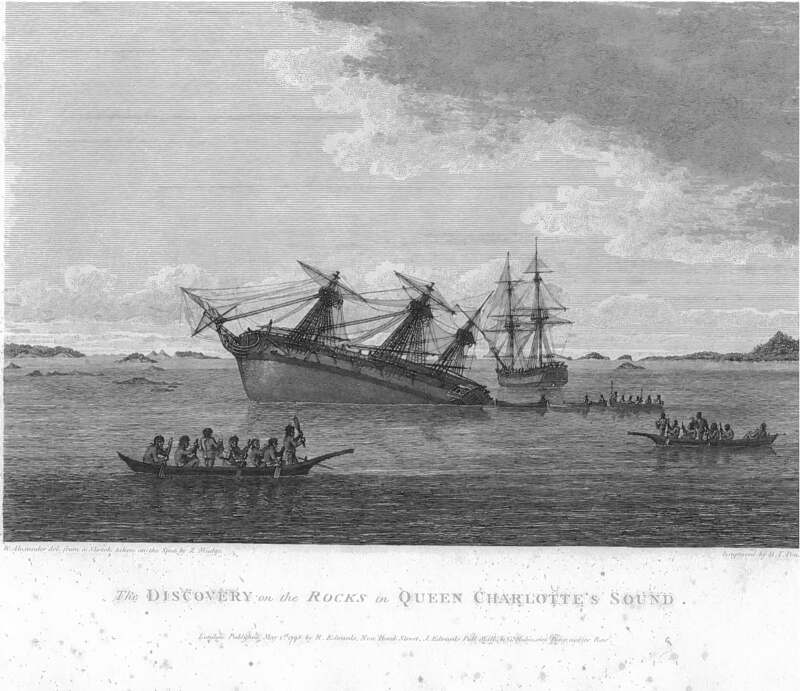 The exhibition also displays plates and maps from A Voyage of Discovery, including the dramatic “The Discovery on the rocks in Queen Charlotte’s Sound”, shown below. This exhibition is the first to be displayed in our new exhibition cabinets, located on the back wall in the Chung Collection exhibition room. It is free and open to the general public during Rare Books and Special Collection’s opening hours of Monday to Friday, 9-5, until September 1 (please note that we are closed on Monday August 1 for BC Day). The exhibition was curated by School of Library, Archival and Information Studies (SLAIS) MAS/MLIS graduate Shamin Malmas, and was mounted by SLAIS MAS/MLIS student Sarah Hillier. 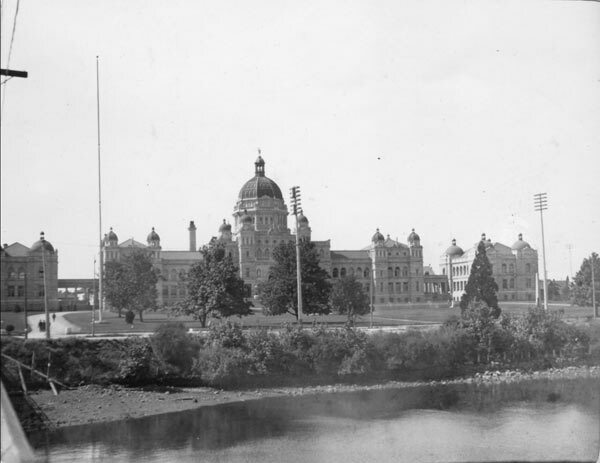 The decision to make BC a holiday was debated during the 4th session of the 30th Parliament in 1974. 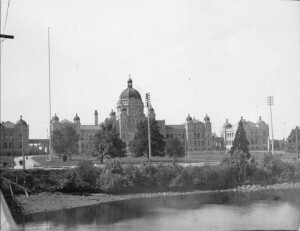 This debate took place in the chamber of the British Columbia Parliament building. The Parliamentary Room, room 155 in the Irving K Barber Learning Centre, was modeled after this room in the British Columbia Parliament. This room is quite different from a traditional lecture hall and is intended to support collaborative student learning and debate. All of the staff in Rare Books and Special Collections wish you a happy and restful BC Day! Just a reminder that all of the UBC Library branches, including Rare Books and Special Collections, will be closed for BC Day. For more information on hours, click here. Our featured B.C. place for this week is the northern most place we have featured yet: Atlin. The town of Atlin and Atlin Lake are located along Highway 7, not too far south of the border with Yukon. Atlin likes to be called “Switzerland of the North” because of its wintertime beauty and activities. The name Atlin is derived from the Tlingit word atlah which means “big water.” The town was founded in the late 19th century when gold was struck in the area, drawing thousands of settlers; today the population is around 450 people. "Rift in the clouds", Atlin B.C. The photographer was L.C. 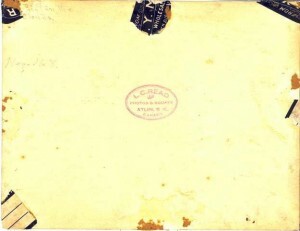 Read, who, according to the Camera Workers of B.C., was active in the Atlin area up until around 1919. 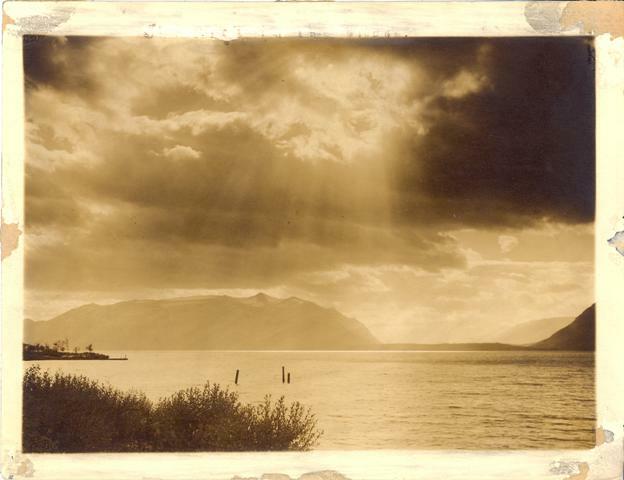 If it were not for the photographer’s stamp on the back of the photograph, we wouldn’t be able to say who the photographer was, and it would be unlikely that the location could be identified as Atlin. To learn more about our historical photograph collections, consult our Photographs Research Guide. 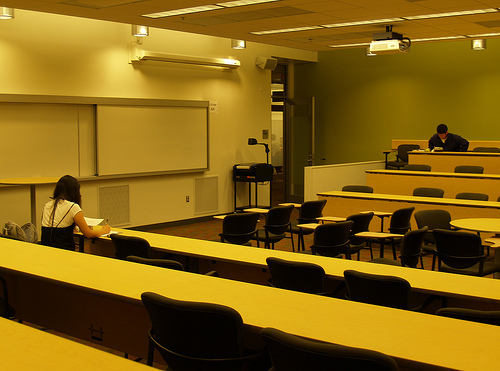 In the Irving K. Barber Learning Centre, the Atlin Meeting Room is number 191, on the first floor.